HDFC Bank has listed some ways - including net banking - to check whether your Aadhaar number is linked to the bank account. Have you linked your Aadhaar - the 12-digit personal identification number issued by the UIDAI (Unique Identification Authority of India) - with your HDFC Bank accounts yet? The UIDAI, the authority that issues Aadhaar card, has said linking of UID (Unique Identity Number) with PAN, bank account and mobile SIMs, among others, is mandatory and deadlines are "valid and lawful" as of now. Bank accounts have to be linked to Aadhaar by December 31. A five-judge bench of the Supreme Court, led by Chief Justice Deepak Mishra, is expected next week to issue an interim order in the matter. 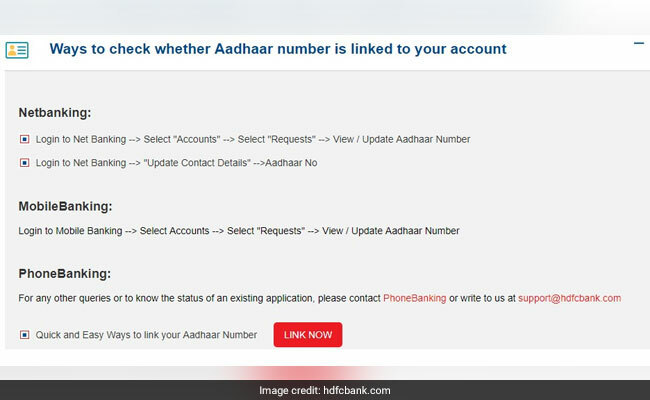 HDFC Bank has listed on its website - hdfcbank.com - some ways to check whether your Aadhaar number is linked to the bank account. 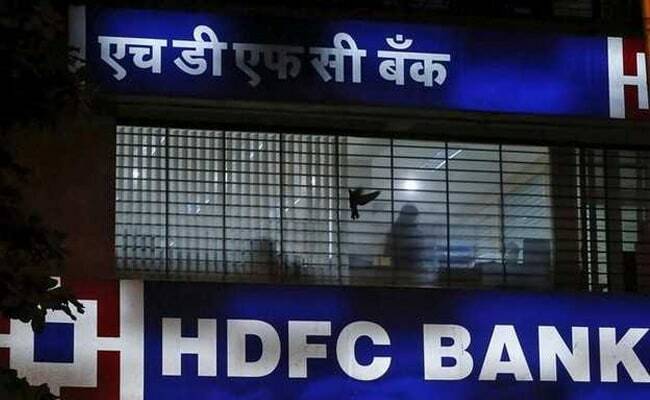 HDFC Bank offers an option to link your Aadhaar with the bank account via its net banking facility, according to its website. Log in to your net banking account with HDFC Bank. Select 'Requests' under the 'Accounts' section. Click on 'View / Update Aadhaar Number' to proceed, according to the HDFC Bank website. Once logged in, customers can also use the 'Aadhaar No' option under the 'Update Contact Details' section, HDFC Bank mentions on its website. After logging in to the bank's mobile banking facility, select 'Accounts', select 'Requests' and click on the 'View / Update Aadhaar Number', according to HDFC Bank's website. "For any other queries or to know the status of an existing application, please contact PhoneBanking or write to us at support@hdfcbank.com," HDFC Bank mentions on its website.